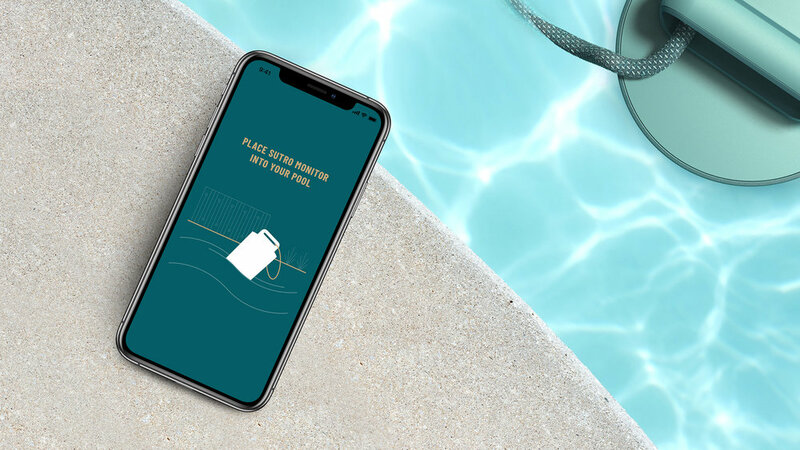 Finding traditional pool products bland and uninspired—think clunky chlorine floaters and boxed equipment sets—Sutro partnered with Enlisted to create a beautiful, intuitive smart pool monitor and brand experience worthy of the home. A home pool is a luxury. The day-to-day investment of time and energy in pool ownership is less so. The Sutro Smart Swimming Pool Monitor changes this. 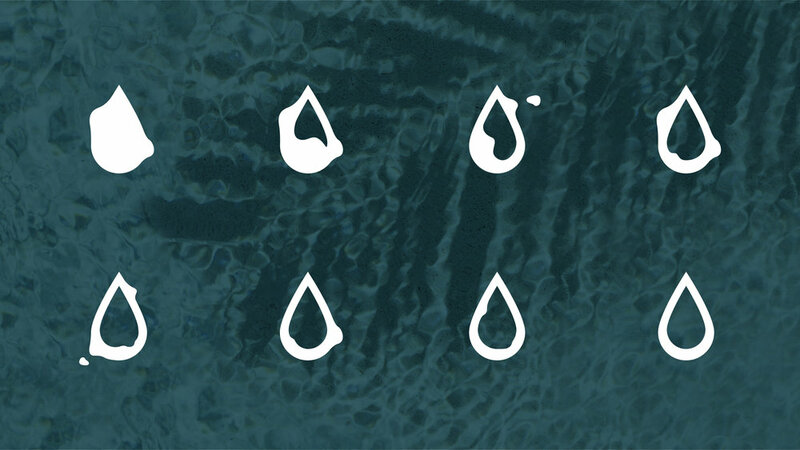 Users can easily measure and monitor the water’s chemical makeup—and even purchase necessary supplies—directly from their smartphones. 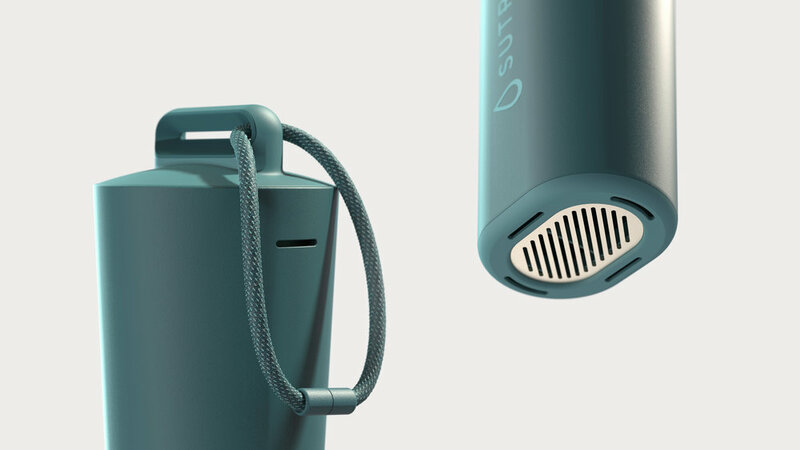 Sutro and Enlisted collaborated to bring this innovative product to life, as well as refresh and elevate the mobile experience and overall Sutro brand identity. User persona research uncovered that Sutro customers have a savvy design eye. They curate beautiful, well-made products in their homes and naturally, want their pool accessories to feel thoughtful and appealing. Enlisted created a holistic visual language—with rich shades of turquoise and pops of gold—to deliver on this desire by evoking a luxurious resort feel. A bold wordmark, custom illustrations, and iconography inspired by Art Deco style further echo the brand’s sophisticated identity. 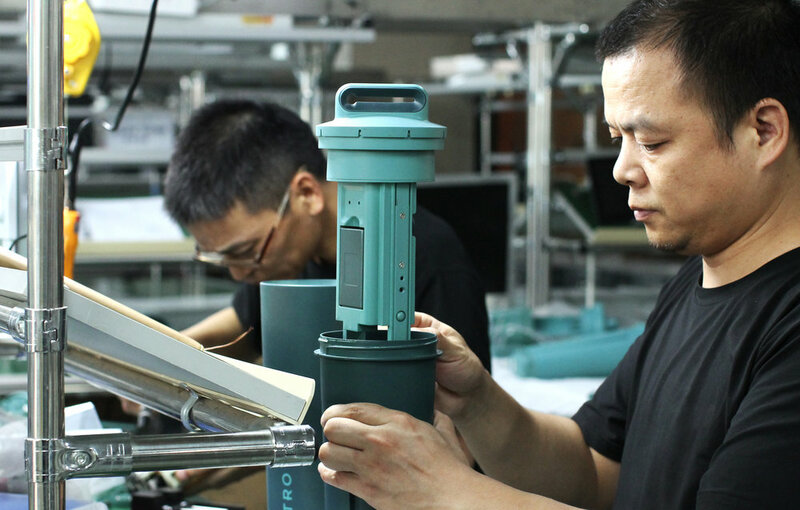 For the monitor itself, close collaboration between design, engineering, and manufacturing ensured the development of a premium-feeling product that would never be structurally compromised by living immersed in water. The monitor’s sleek, tapered design minimizes part lines and orients it proudly in the water. The woven nylon tether docks the monitor to the pool in a clean, no-fuss manner, and the twist-lock cap and monitor core are intuitive and ergonomic for a wide range of users. A gold filter plate adds an extra touch of sophistication. The mobile app’s refreshed, delightful experience empowers anyone in the home to easily manage the pool’s care. For the packaging, Enlisted delivered a modular design made from sustainable materials. In January 2019, the Consumer Electronics Show (CES) named Sutro's Smart Swimming Pool Monitor a CES Innovation Awards Honoree in the Smart Home product category.